Every since I had my first G1 Android phone, I always found the Android notepad apps to be reliable and extremely useful. Someone recently suggested I try out ColorNote Notepad as a good notepad replacement. Find out whether this new app can tell its competitors to take a hike and become an Android must-have in today’s test. ColorNote works well as a basic notepad, but also let’s you organize and manage your notes and to-do lists. Another neat feature is that fact that you can save news from the browser as a note in ColorNote. Since I’m constantly reading through all sort of Android news, I set-up a green category where all relevant Android info gets stored. Using the magnifying glass you can search for specific notes in ColorNote. When creating a new note, you have to select between a text and a checklist. A checklist works well for shopping lists, whereas text can be used for everything else. 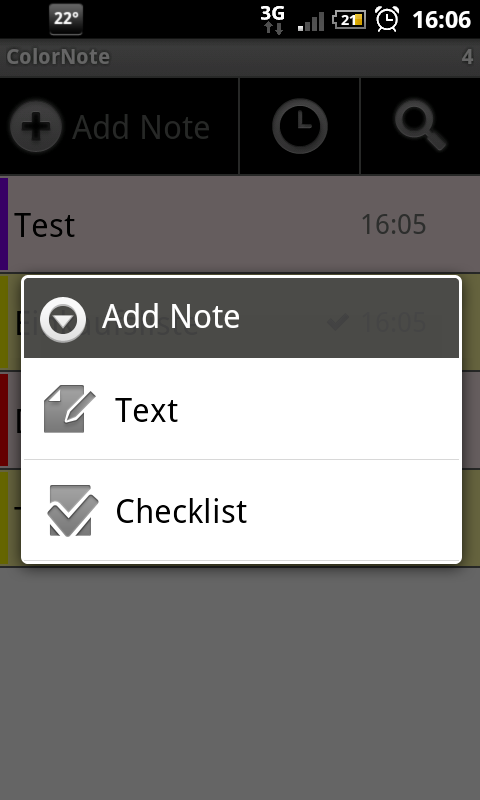 At the top of the note you can add a title and select a category color for the note or to-do list. Now you can type in your text or add items to your checklist. Pressing the back button automatically saves your note. 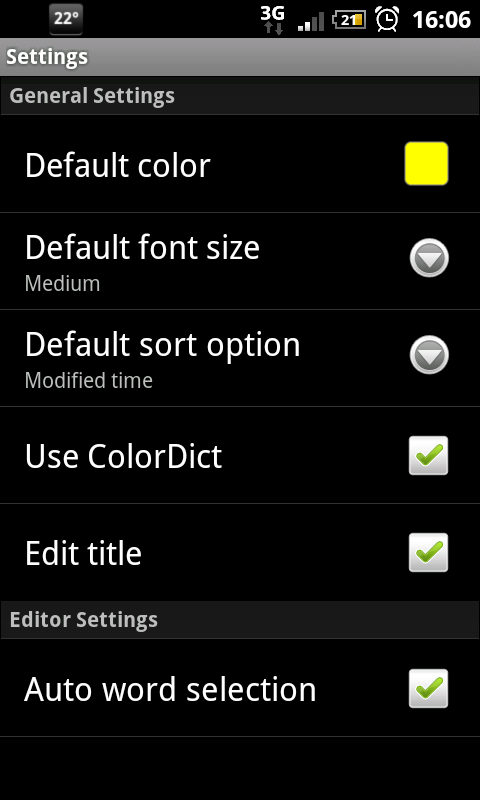 In order to use the dictionary, you must first install ColorDict and then download the dictionaries of your choice. This way you can select individual words in a note by clicking on them. You have to be in edit mode in order to look up words. After selecting a word, it then appears in the search field. Press the magnifying glass in order to look through the dictionary. If you wish to add a note to your homescreen, simply do a long press on the desktop and select the ColorNote widget. Your note then appears as a post-it on your desktop. ColorNote is definitely a notepad with a ton of useful features. It may take a little while to get used to the way ColorNote works, but it should be a breeze once you get the hang of it. 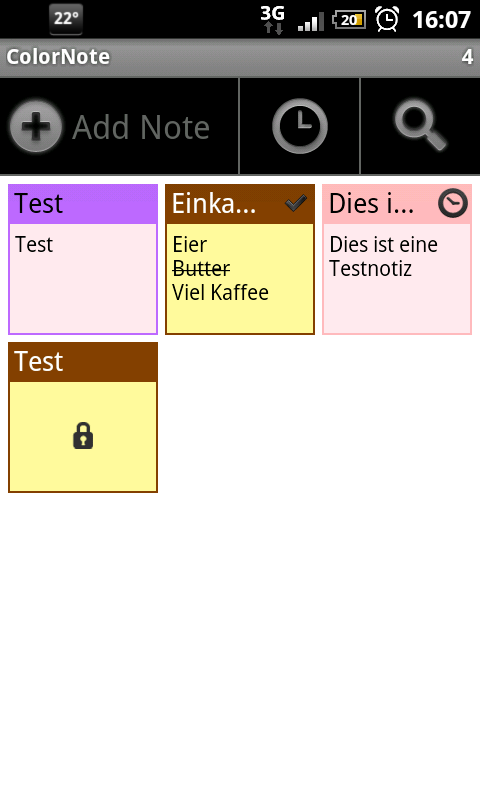 After spending some time using ColorNote, I promptly deleted my previous notepad app from my phone. ColorNote ran smoothly and without any issues. 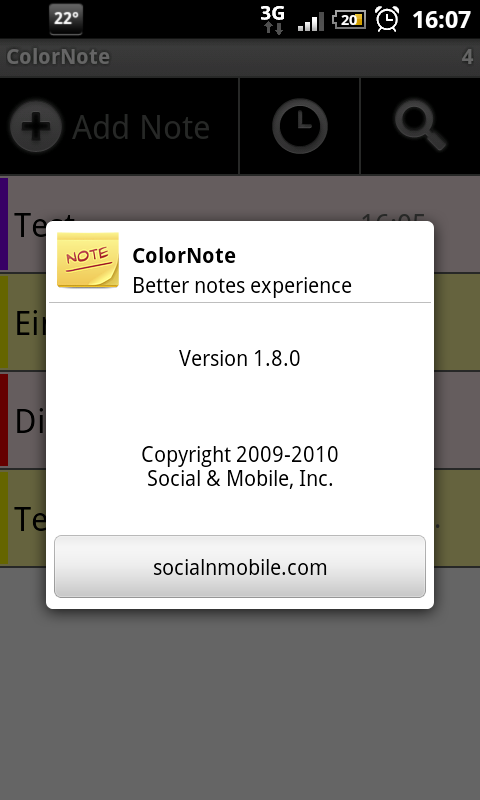 ColorNote can be downloaded for free from the Android Market. Definitely on a list somewhere.